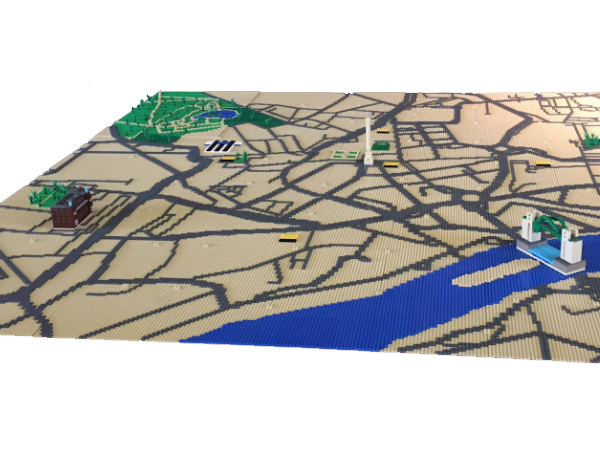 It’s not every day that you’re asked to build a LEGO map of your home city, and run a workshop to let families build their own landmarks on top! This is exactly what the fantastic Discovery Museum in central Newcastle decided they wanted, and I was more than happy to oblige. This workshop was combined with a LEGO model commission. 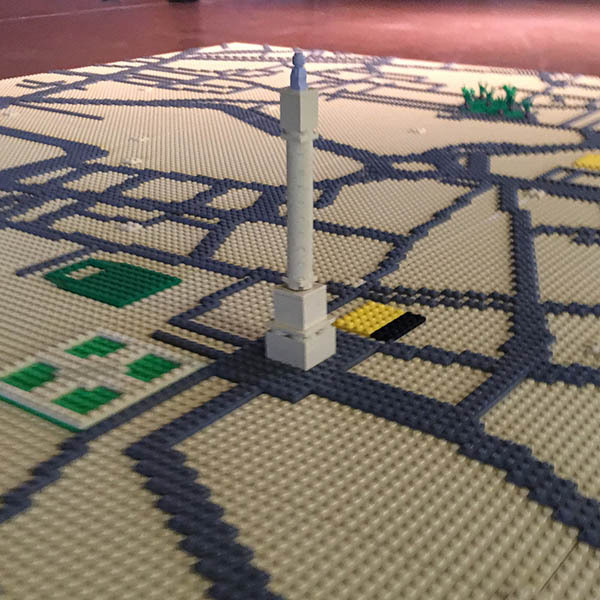 I built a map of Newcastle and Gateshead which was almost 3 metres squared in size, and a day of workshops was provided in the museum’s stunning Great Hall to allow pre-booked families to come and build their interpretation of Newcastle landmarks in LEGO on top. With 4 workshop sessions with the public packed in to a day, we saw some brilliant additions to the map above from around 1000 visitors, including many interpretations of the famous five bridges across the River Tyne, many versions of St James Park, the football ground of Newcastle United, as well as the Metro stations dotted around the city too. The LEGO workshop sessions were a great draw for families in to the museum, allowing the free entry museum to benefit from a boost in visitor numbers on a weekend early in the year would otherwise have been rather quiet.